Still in Italy with this post, friends. But really can you ever have enough of Italy? I think not. In September a very dear friend and I spent about a week in Rome staying at the apartment of our lovely, lovely friend, Pamela. Pamela opened her home, heart and refrigerator to us and we are eternally grateful. Having lived in Rome for the last 30 years or so, Pamela has picked up a few tips on how to see Rome as little like a tourist as possible. Truthfully, when you are in Rome you will be doing touristy things. How could you go to Rome and skip the Colosseum, the Forum and Vatican City? You really can’t. But there are ways to beat the crowds. 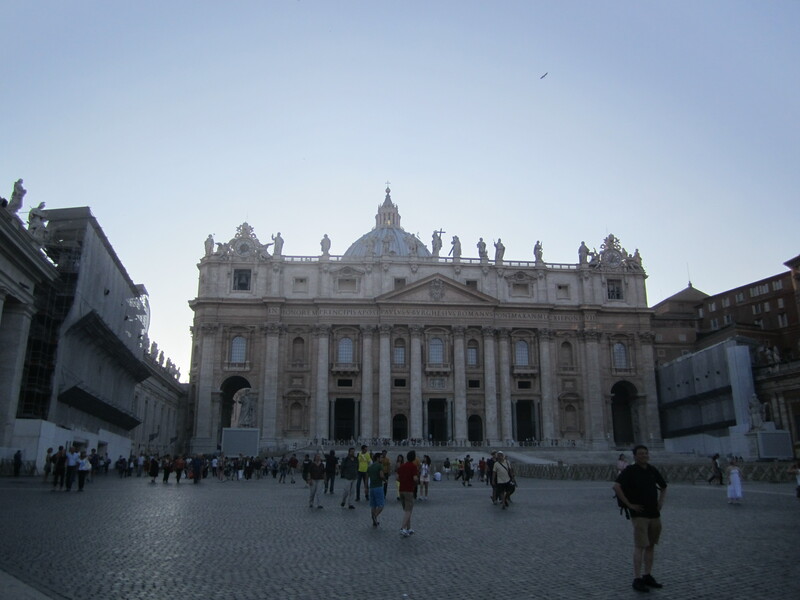 So on our own journey to Vatican City and St. Peter’s Basilica, Pamela suggested we look into Dark Rome Tours & Walks, which are group tours of a limited size with expert guides that allow guests certain perks. Our Vatican City tour allowed us to cut the painfully long lines, saving us hours and hours of time. The three-hour tour takes you through the Vatican Museum and into the Sistine Chapel. The groups are 20 people or less and the tour covers everything from ancient sculptures and tapestries to the Raphael Rooms and the Sistine Chapel. Tours are a bit pricey (around $70 per person), but the amount of time you save being able to skip the lines is well worth it, and the fact that the guides are English speaking and experts in their fields will allow you to walk away from Vatican City with a much deeper understanding, which is more than you could say if you meandered through on your own. Note: Dark Rome offers other tours in Rome, as well as tours in Florence, Venice and Pompeii. When returning from any big trip (you know, the kind that takes months of planning and hundreds of dollars), I find it’s often the smallest of activities that are the most meaningful. See? Size DOESN’T matter! Let’s go back about a month and a half, shall we? The scene is Venice‘s Rialto, one of the most heavily trafficked parts of an overly toured city. 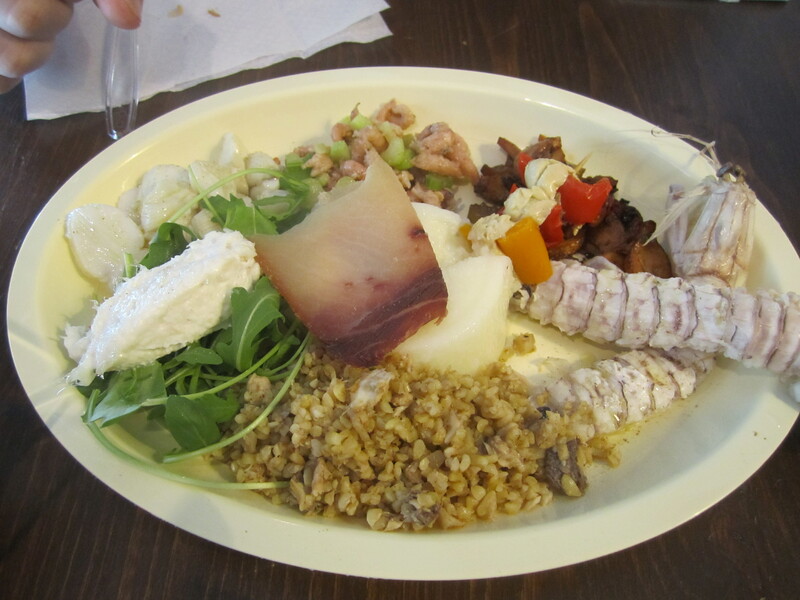 Tucked behind an unassuming store front, directly across the street from the frenetic (and pungent) fish market is Pronto Pesce, a local fish market selling local delicacies that were most likely swimming just a few hours prior to your purchase. I discovered this little gem on (where else) No Reservations. Knowing Tony would never steer me wrong, I knew that this must be a stop on my own itinerary to Venice. The display case, upon first glance, isn’t really all that impressive – especially if you don’t know what it is you are looking at. Fortunately, the people behind the counter speak English relatively well and are more than willing to explain what it is you see before you. The patrons that wander in and out are undeniably local. Not a Nikon or a fanny pack in sight! If you are on a trip to Venice this is a perfect spot for a light lunch, an afternoon buzz and a peek into what Venice would be like without anyone but Venetians.